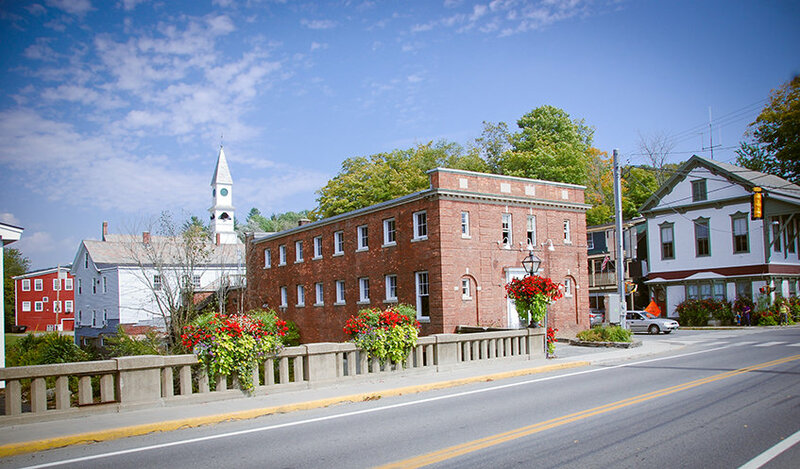 Wilmington, Vermont is taking charge of finding their next downtown business by offering a cash prize for the business that best meets the town's needs. WILMINGTON, Vt., October 2, 2018 – Despite the old saying, “You can’t choose your neighbors,” one small town is in the process of doing just that. Whether it’s a bakery, a fitness center, or a coffee roaster, downtown businesses in Wilmington, Vermont are guaranteed to have at least one new neighbor soon. Faced with several vacancies in their historic downtown, and recognizing that a lack of capital is the most common barrier of entry for small businesses, the downtown organization Wilmington Works put together a $20,000 prize (via donations and corporate sponsorships) to be used as start-up capital for a new small business that is ready and willing to open in downtown Wilmington, VT by October 2019. Three aspiring businesses have now been invited to present their ideas live on Oct. 18. The public is welcome to attend the presentations, beginning at 5 p.m. at Wilmington’s Historic Memorial Hall. Following the presentations, one lucky winner will be announced, and the community will get ready to welcome a new neighbor to their downtown. Entrepreneurs were judged using a scorecard that took into account factors like community need, potential for job creation, and economic diversity. 19 willing applicants submitted their ideas in mid-July, when a team of judges narrowed down the initial pool to six. Those six were partnered with local business mentors and given six weeks to work up a full business plan. After reading the business plans, the judges met again in late September and narrowed their choices to 3 finalists. All three finalists have traveled a unique path that led them to want to open in Wilmington’s downtown. Headed and developed by baker Hannah Cofiell, Beurremont Bakery has been operating out of the kitchen of a local restaurant and selling goods mainly via a weekly pre-paid subscription service, or CSB (Community Supported Bakery). As word has spread about the quality of her goods (which are also available on a pop-up basis at several locations around town as well as at Mount Snow and the Cask and Kiln dessert menu), the CSB program has maxed out. Hannah is hoping to move into a kitchen of her own and expand the number of families who can subscribe to her program, as well as establishing a walk-in retail presence. She also plans to offer baking classes and host parties and celebrations in the space. The fitness center is another locally developed business which has outgrown its space. 802 Fitness and Therapy, headed by corrective exercise specialist Paul Croutworst, has been operating for the past year out of shared space in Wilmington. He has just signed a lease for a space of his own in the former High School (now part of Wilmington’s state-designated downtown area). He hopes to expand offerings to larger group classes and make his fitness services and equipment available to more local residents. The cash prize would go towards equipment and technology that would help workout and nutrition programs work seamlessly for members. The third business represents an entirely new venture that has been several years in the making by a far-flung group of international coffee aficionados. Two of the members plan to eventually make their home in Wilmington, while a third has ties to the area via Marlboro College (although he is currently based in Ethiopia, where he works directly with coffee growers and leads educational tours). They hope to bring their separate coffee sourcing, roasting, and wholesale businesses together under one roof in Downtown Wilmington with expanded offerings of pottery, produce, and, of course, a place to sit down with a great cup of coffee. Wilmington is located in southern Vermont close to a variety of outdoor recreation opportunities, including Mount Snow and Lake Whitingham. The downtown serves the local community, second homeowners and tourists. Wilmington is roughly 2 1/2 hours from Boston and 4 hours from New York, making it an excellent weekend destination. The Make it on Main Street Competition is sponsored by Wilmington Works, with additional sponsorship from Brattleboro Savings and Loan, Brattleboro Development Credit Corporation (BDCC), the Town of Wilmington Event Fund, The Deerfield Valley News, the Southern Vermont Deerfield Valley Chamber of Commerce, and The Richards Group. BDCC’s Instig8 program and Southeast Vermont Community Action provided technical assistance.